Chiropractic treatment benefits those who have headaches and migraines. Through natural headache treatment, you can find relief without the use of treatments that cause harmful side effects. Both a headache and migraine cause pain in your head. However, the pain from a headache is usually a dull pain. On the other hand, a migraine is a more serious headache that causes more than just pain. A migraine can cause vomiting, dizziness, nausea, sensitivity to light or sounds, eye pain and possible visual disturbances. You might feel irritable or experience ringing in your ears. A migraine can last for a few hours or several days and can affect your ability to live life as usual. Usually, headaches are caused by stress, but you could have headaches for other reasons such as poor posture or whiplash. Certain diseases and deficiencies will cause headaches. The exact cause of migraines isn't known by experts; however, genetics appears to play a role. Additionally, environmental factors may contribute. In some cases, you could have a chemical imbalance in your brain that's causing your migraines. Our headache doctor will conduct an in-depth evaluation of your medical history. Then, our migraine specialist will craft a natural headache treatment tailored to your needs, which will be based on your current level of health and why you have recurring headaches or migraines. Either our headache doctor or chiropractor will diagnose and prescribe a treatment. You may be advised to undergo a chiropractic adjustment. This treatment consists of our chiropractic manipulating the vertebrae in your back, so it realigns. Realigning the spine takes pressure off of your neck. 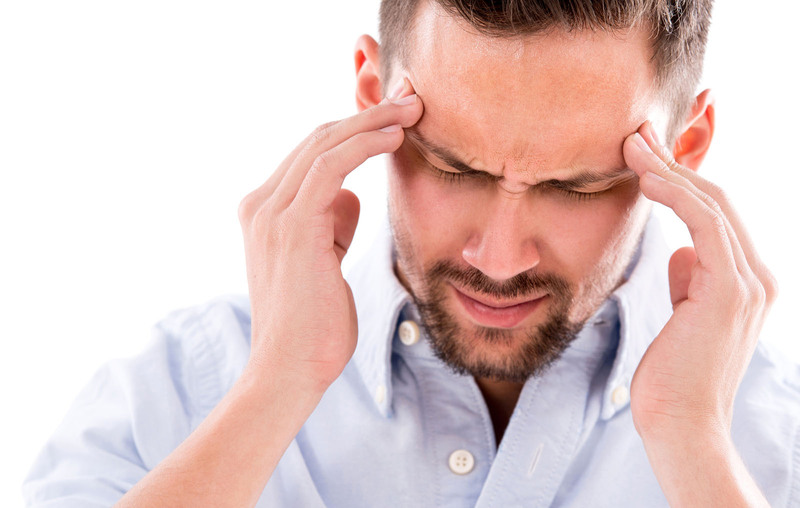 This pressure could be causing or worsening your headaches. Poor posture is sometimes a culprit of back pain. Our chiropractor may perform a spinal alignment or guide you through a series of exercises that'll improve your posture and reduce the amount of stress poor posture is placing on your neck and head. Nutritional deficiencies may be contributing to your headaches. Either our chiropractor or our medical doctor will evaluate your current diet and take into account any health problems that you have that could be causing your deficiency. Next, either one of our practitioners will prescribe a diet plan and possibly nutritional supplements to compensate. A healthy diet rich in nutrients has the potential to reduce the prevalence of migraines. In many cases, your headaches are caused by a vitamin B-12 deficiency. One of our specialists will prescribe a B-complex supplement to combat the deficiency. After evaluating your diet, a practitioner may find one of the foods you regularly consume could be causing your discomfort. Through patient education, you can make better health decisions, which will reduce your headache pain and promote better overall health. One of our practitioners may recommend exercise habits you can incorporate, which will increase the flow of blood throughout your body, ultimately transporting more nutrients through your body. The exercise improves your mood and reduces stress and anxiety. You'll also notice you get a better night's sleep when your exercise during the day. Ergonomic changes may be necessary in order to reduce the number, frequency and severity of your headaches or migraines. For instance, if you sit at a computer for prolonged periods of time either for fun or work, this could be the cause of your headaches. Sitting improperly stresses the muscles in your back and could cause irritation to your brain. One of our experts will show you how to sit properly to avoid this complication. If you're suffering from the discomfort of headaches or migraines, our experts can reduce your pain. Through a specialized treatment plan crafted just for you, we'll reduce your headache pain. All you have to do is schedule an appointment with Balanced Health Medical, serving Manhattan and the rest of NYC, by calling (212)-755-1717.